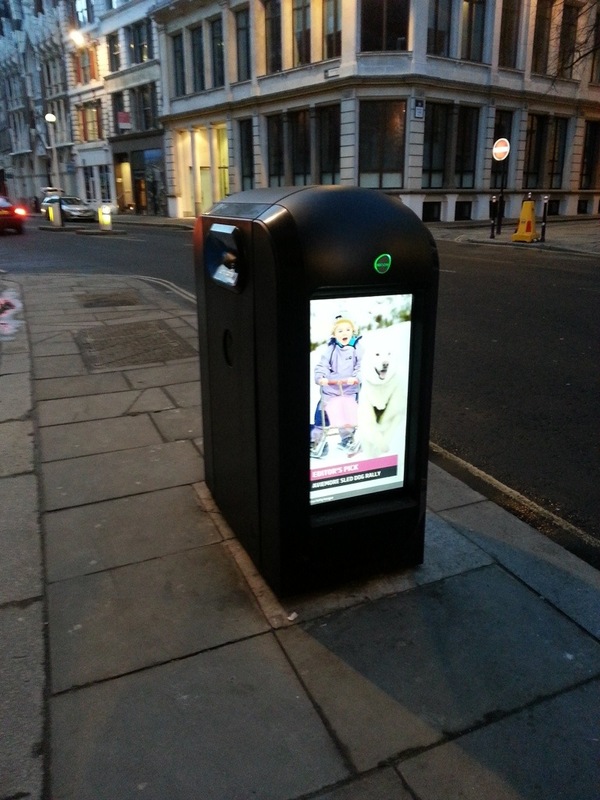 London rubbish bins now consume energy!! Another example of Jevons Paradox, the new rubbish bins in London have different size slots for different waste sources which is awesome but then they have undone all of that by doing this. 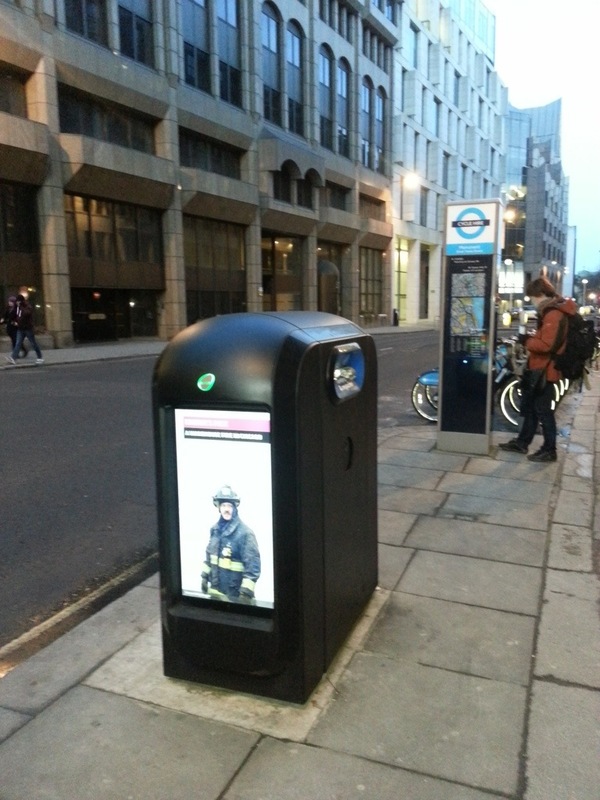 A TV screen on a rubbish bin!! And if that wasnt enough they did this. They put another one on the other side!! Two TV screens on one bin. Now London has done some great things around sustainability, in particular the Boris bikes but what is the point of this?? ← Convenience or adventure and happiness? Maybe they get their power from decomposing rubbish?! Then again, probably not 🙂 a solar panel would soon sort that out…. New ways to waste energy and spread viral advertising. Thanks to Simon Wild of Cundall, Aus.